I can’t believe it’s been two years since I was last in the Cape winelands. It’s scary how time just flies by so quickly. Though, I am very happy and lucky to be going back to Franschhoek in just over a week…can’t wait! 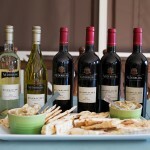 Wine tasting and experiences have really become something that my husband, Garith and I enjoy doing. I have always loved the idea of being a wine drinker, but it has only been within the last few years that I have actually been able to drink and appreciate wine (amazing what giving up sugar can do to one’s palate). What I enjoy most about wine tasting is not knowing…will I like it, what will it taste like, what flavours & notes will pick up in it, etc. To me, this almost makes the tasting exciting and every tasting is different no matter how many times I go a wine farm. 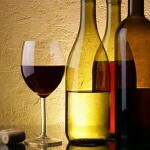 Wine is such a complex this, because so many things affect it’s taste, your mood, people you are sharing it with, food, etc. I have tasted a wine I thought I liked under different circumstances and it tasted completely different and I wasn’t even sure I liked it anymore. Funny how things are…but we are very spoilt here in South Africa as we really do have fantastic wine. 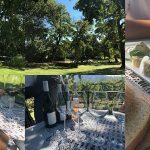 So, I thought I would share a few of my favourite wine farms & spots in Stellenbosch, there are so many, so these are like a drop in the ocean in comparison to what all is in Stellenbosch. Keep in mind, on this trip I visited about 20 wine farms in just 5 days. 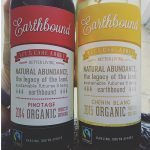 Yes, I do also question some of the wine choices I made, especially at farm 4! Hehe! With all the wine farms I have listed below, it’s a good idea to phone and book a tasting if you are there during peak season, I was there in February, and we didn’t need to book for any tastings, we just walked in and could be seated straight away…which I believe is quite lucky. We all know and love Beyerskloof, or at least you should if you like Pinotage. 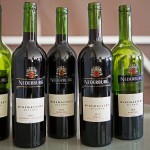 It’s a nice easy drinking, not too expensive Pinotage – which is great in my eyes. The farm has a very relaxed laid back feel to it and the staff were really knowledgable and friendly. If you are lucky and time it right, you could also do a cellar tour. When I was there for a tasting we got to taste everything except their famous Diesel Pinotage (which I have tasted and actually have a bottle – it’s divine but very pricey). Blaauwklippen was one of my favourite’s to visit, I think it has something to do with the usual name…it really appeals to me. The tasting is great, I really love the feel & decor in their tasting room. I almost felt like I had been transported back to an old fashioned cigar lounge…and the art on the walls is beautiful. 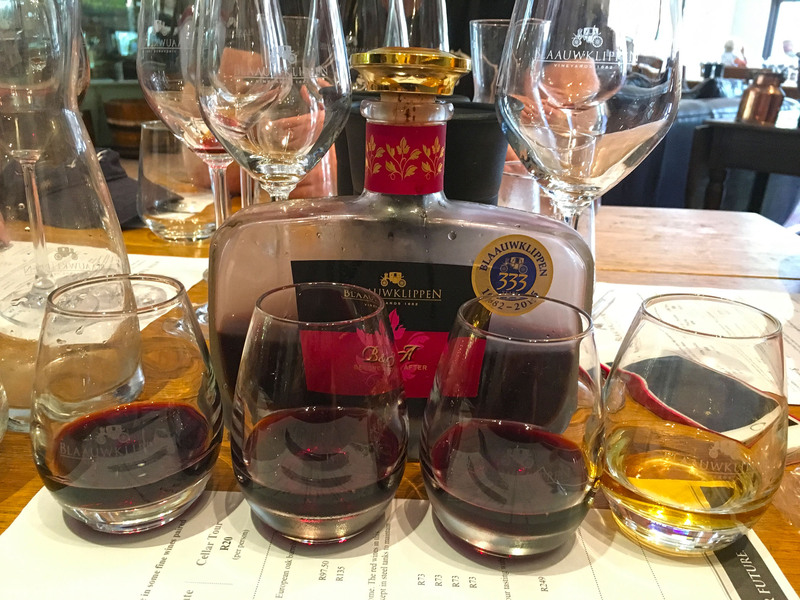 Blaauwklippen has a good variety of wines to choose from for a tasting, as well as brandy, gin & aperitif. My favourite was the white Zinfandel…so I obviously bought some home to JHB. I believe the restaurant is really good, but I didn’t actually try it…so I can’t personally recommend it. Every Sunday they have a family market where you can get delicious mouth-watering food, as well as shop for creative crafts. It really is worth a visit, and has become extremely popular. I can recommend the ice cream…it’s really yum! 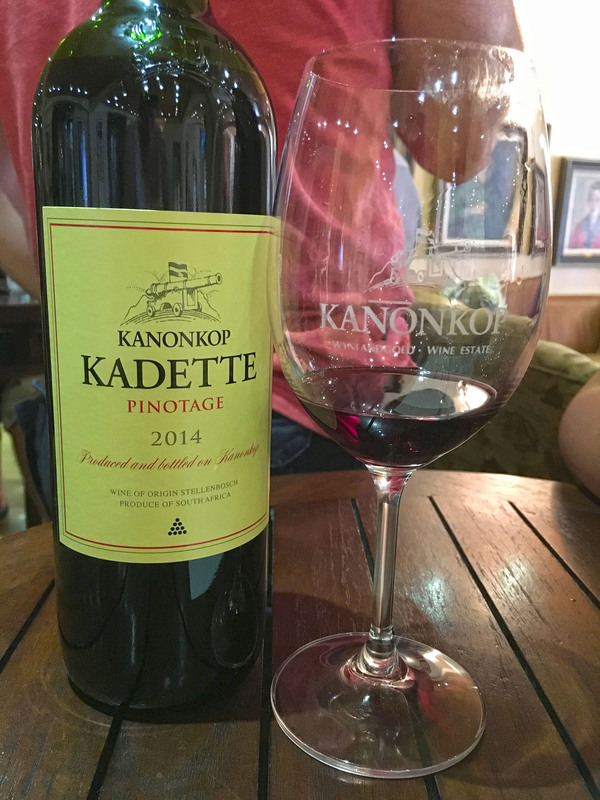 If you enjoy a good red wine, especially Pinotage, then I highly recommend visiting Kanonkop. The tasting room is nothing fancy but has a great old school traditional feel to it. When you drive up the driveway of Kanonkop, you will notice that the vineyards look a little different, less structured and untrained…that’s because their Pinotage grapes are what is known as bush vines. Which also gives the wine it’s unique flavour (or so I am told). I really like the Kadette Pinotage, it’s an easy drinking good yet not too expensive red wine. Pair it with lamb or any red meat and you will be in heaven! I recently spoke to someone about visiting Murati and I said when we arrived, there wasn’t another soul there. It was almost eerie. The tasting is done down in the old cellar, which reminded me of a dungeon…but a nice friendly one with wine 🙂 But, you can just imagine, the history and uniqueness of this wine farm. It really is an experience like no other when it comes to wine tasting. The wines are also excellent, which obviously makes it even better! 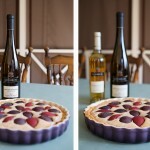 If you are a dessert wine lover, be sure to try their Amber Forever, which is a fortified Muscat and so delicious. You won’t regret tasting it! It’s so hard to choose a favourite winery in Stellenbosch, but I think if I had to, then I would choose Dornier. The restaurant is incredible and can’t recommend it enough, but do book for it. The view from the veranda of the restaurant is breath-taking, with the beautiful gardens in the foreground and the majestic mountains in the background, I could have stayed there forever. However, now onto the wines. The wine tasting room, has an incredible bar in it that you can sit at like we did or there are a few tables that have a bit of a view due to all the windows. We sat at the bar so we could chat to the staff about their wines, who were very friendly and informative. The highlight of the tasting was their Pinotage and Chenin Froschkonig (a dessert wine, but not too sweet and very usual but delicious flavour). 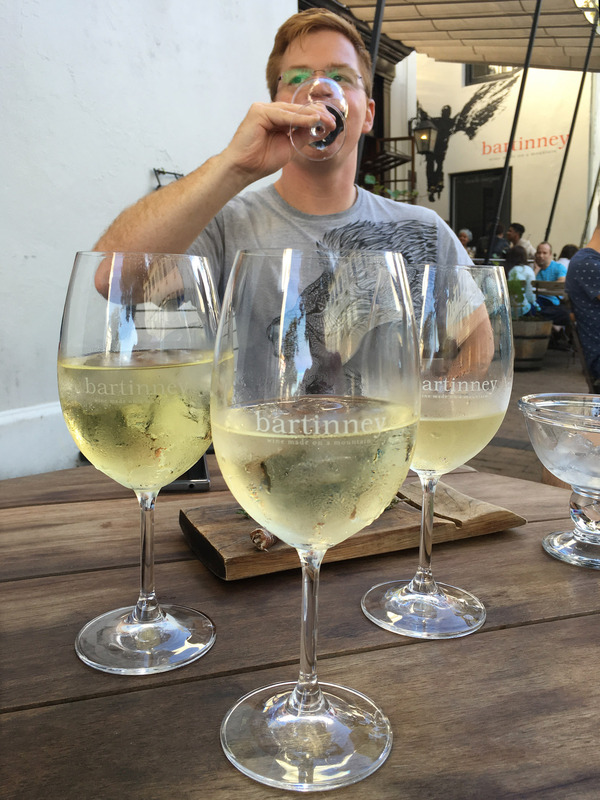 If you are staying in Stellenbosch and don’t get a chance to get out to the Bartinney farm, then just visit the Bartinney Wine & Champagne Bar in Bird Street and do a little tasting of your own. They have tables outside on the side walk, which really makes you feel like you are sitting in Paris…minus the French people! Hehe! It’s really worth a visit, the atmosphere is great and the staff are really friendly. They have all these gorgeous wines available by the glass, I can highly recommend the Chardonnay and Sauvignon Blanc. If you are like me and come from JHB or anywhere that isn’t Cape Town, then you will need to find accommodation in Stellenbosch or close by. And, there is nothing I love more than finding gorgeous accommodation at a cheaper price. Which is why I would recommend using South African based travel company, Afristay (previously known as Accommodirect.com). Their website is extremely easy to use and caters for all your Cape Town holiday needs, as well as any other holiday’s you might be planning within South Africa. What more could you possibly want when booking your accommodation for your well deserved holiday. Next time, you are planning trip, give Afristay a try, you won’t be disappointed. *Please note, while this post is a collaboration with Afristay, all opinions and information is my own.